Home / Commentary / Ask a Mormon: Why do you call yourselves Mormon rather than Christian? 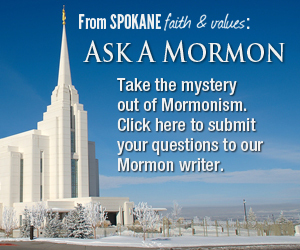 Ask a Mormon: Why do you call yourselves Mormon rather than Christian? Do you have a question about the Church of Jesus Christ of Latter-day Saints? Submit it online or fill out the form below. Q: Why do you call yourselves by the name Mormon? I’m Christian plain and simple, by no other name than Jesus Christ the son of God. 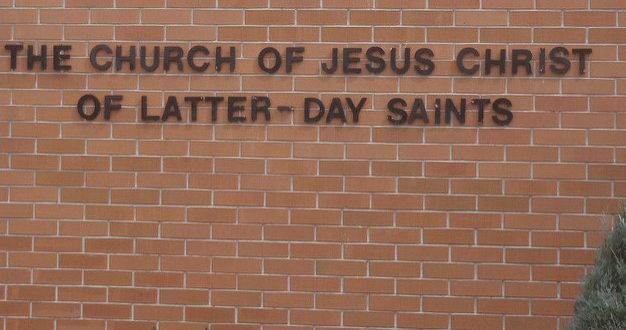 The full name of the “Mormon church” is “The Church of Jesus Christ of Latter-day Saints.” We believe that we take the name of Jesus Christ upon us at baptism and we identify as Christians. According to some scholars, the term “Christian” was originally used as an epithet by detractors of the new faith before being adopted by followers of Christ. Similarly, the term “Mormon” was first used by antagonists of the church shortly after it was formed in 1830 in reference to “The Book of Mormon,” since that was (and still is) a distinctive difference between The Church of Jesus Christ of Latter-day Saints and other Christian faiths. Over the years, members of the church reclaimed the term for themselves in positive ways (for example, the Mormon Tabernacle Choir) and the pejorative connotation decreased. Church leaders have repeatedly emphasized the full name of the church and asked members to identify themselves as members of “The Church of Jesus Christ of Latter-day Saints” rather than as members of the “Mormon Church” to clarify that we are Christians and followers of Christ. I’ve found that many people don’t realize that the “Mormon Church” and “The Church of Jesus Christ of Latter-day Saints” are the same church, so I’ll often use both terms in conversations for clarity’s sake. Emily H. Geddes was born to two physicists and grew up as a Navy brat. Born-and-raised as a member of The Church of Jesus Christ of Latter-day Saints, she holds a bachelor's degree in theatre from Brigham Young University, and earned an MBA from Eastern Washington University. I actually was taught, in my last denomination, that Mormonism IS a cult – the fastest growing cult in America. I believe that teaching stems from a combination of fear (because that evangelical denomination is competing for the same “lost souls” as the Mormon missionaries are) and from a legalistic need to “be right” and therefore call all others “wrong.” But your article clearly collapses that line of thinking by pointing out that any belief system that differs from your own could easily be labeled a cult. Another point that would be good for our Coffee Talk this Saturday, is that in using the word cult so widely, we diminish the harsh realities of cults that enslave people, ruin lives, and in some historic cases such as the Jonestown Massacre even result in mass murder.